Radnor Township Police Department issued an alert Tuesday afternoon for a coyote sighting in the town. Police said while they’d received multiple reports of recent coyote sightings, they were first able to confirm the reports on Tuesday afternoon. The coyote was seen running near Abrahams Lane and Church Road, police said, a residential intersection near Wayne. The intersection police cited is less than two miles from Radnor High School and 2 1/2 miles from Villanova University’s campus. Police asked that residents use caution when letting pets outside, and warned people to not approach the animal and instead call 911 immediately. Last July, a coyote was spotted near Chestnut Hill College’s campus. 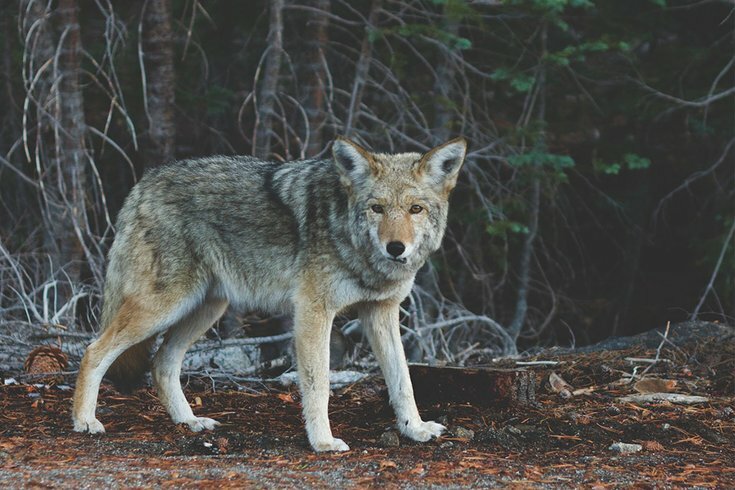 Peg Shaw, Director of Land Management for The Friends of the Wissahickon, told PhillyVoice at the time that there’s not much a resident can do when a coyote is spotted, other than stay away from the animal. One website on Urban Coyote Research says coyotes prefer wooded patches and shrubbery, and coyotes will avoid residential, commercial, and industrial areas but will use any remaining habitat fragments, such as those found in parks and golf courses. The intersection where police spotted the coyote Tuesday is also just a few miles from Overbrook Golf Club, Radnor Valley Country Club, and Aronimink Golf Club.